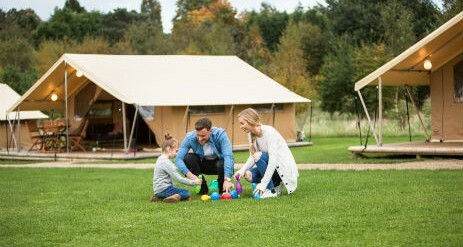 The best in glamping, our safari tents at Tavistock Ready Camp in Devon offer a wonderful balance between contemporary and outdoor living. 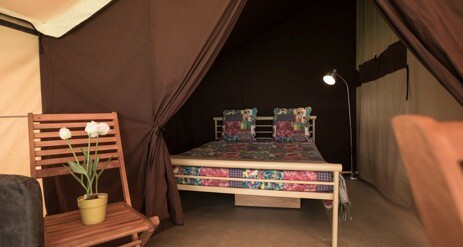 Glamping in Devon takes the strain out of camping with furnished tents, proper beds, dining area and more. 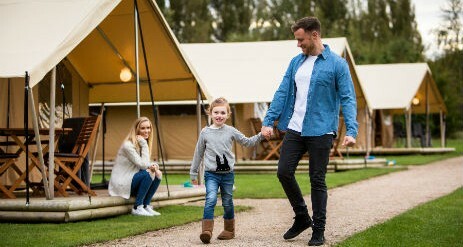 Hidden away in a corner of Devon our glamping holidays promise a really peaceful experience with tree lined walks and amazing views of Dartmoor National Park. 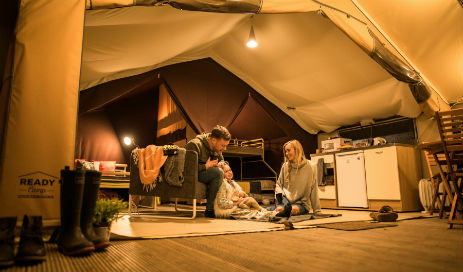 This quiet campsite is just the place for exploring Devon’s rural beauty. With its location on the fringes of Dartmoor it means you are in a great spot from which to explore every inch of this national treasure. The historic market town of Tavistock is only a few of miles from the campsite set in a picturesque spot of the River Tavy with ancient abbey ruins and dramatic stone architecture, a good selection of shops, restaurants and cafes. 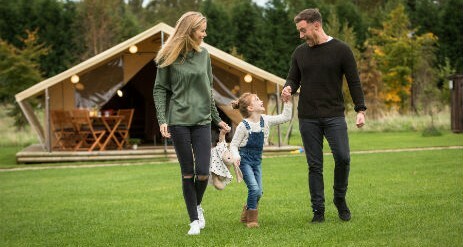 Approximately 5 miles east of Tavistock campsite is Princetown and it’s National Park Visitor Centre. This is a great place to start exploring the rolling hills and wooded valleys of Dartmoor. From Princetown there is excellent access to the south and north moors for rambling and hill walking. 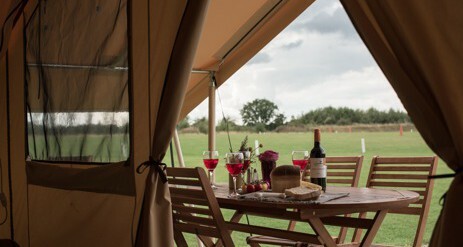 The glamping campsite is spacious with plenty of mod cons including individual shower rooms, toilets, laundry facilities, a washing up area and an on-site holiday manager. The National Route 27 of the National Cycle Network passes just 200 yards from Tavistock Campsite giving you direct access onto the Devon Coast to Coast cycle route. This section stretches of 99 miles crossing Ifracombe to Plymouth. Over two thirds of the routes are traffic-free. Follow the trail to appreciate the lush green valleys, wild natural beauty, beaches and estuaries of this soul stirring corner of the West Country. 20 minutes south of Tavistock brings you to Sheepstor. Sheepstor is a tiny picturesque village made famous in Stephen Spielberg’s film ‘War Horse’. Look out for a granite church dating back to the 15th century and a prominent rocky outcrop known as ‘Sheeps Tor’, which the village is named after. Other local landmarks include Lydford, a small village about 8 miles from the campsite and Lydford Gorge, stretching for over a mile from the dark ravine of Devil’s Cauldron whirlpool to the crashing White Lady Waterfall.